The bone called Coccyx or Tailbone is the smallest part of the bone in the spine and, therefore, it is also the least developed part of it. This in turn makes it a bone that can suffer various injuries and cause great discomfort, mainly after a small fall, so it is important to pay attention to the symptoms if you suffer a small accident that may be involved this part of the body. The coccyx is a very important part of the skeleton because it is attached to the pelvic musculature, large ligaments and numerous joints. 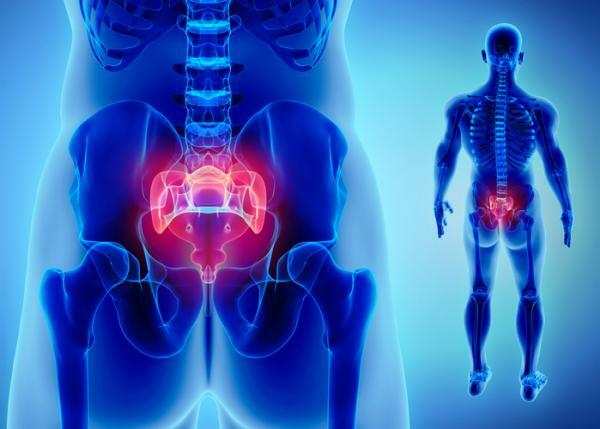 As it is so frequent to injure the coccyx, there are different treatments depending on the particular case of each patient; however, it is important that the treatment has been carried out correctly under the hands of a professional. Despite this, after having suffered an injury to the coccyx, there may be certain effects that last over time. Angulated with incomplete anterior displacement. Complete anterior displacement of coccyx due to sacral fracture. With or without displacement. Accompanied by fragmentation of a segment’s comminution. After the coccyx fracture, the organism stimulates the repair of the bone tissue by itself, so that there may be a greater deposit of salts and the formation of the callus bone, which is replaced by the corresponding bone fragment. However, one of the risks of breaking the coccyx is that the repair process is abnormal, causing the structure has not grown completely or has done too much and, consequently, there is an incorrect union that can cause some alterations. This bad union in the fracture of the coccyx can cause chronic pain, mainly, when sitting or getting up, in addition to possible problems to defecate by the pressure that could exert on the intestines. In these cases, the most advisable is surgery on an outpatient basis and usually takes no more than half an hour, but even undergoing this treatment, the recovery and improvement of symptoms can be slow, going from a couple of months to a year after doing it. During pregnancy, it is common for many women to experience pain in the coccyx because the joints of the area become less tense, more flexible and more mobile to facilitate the delivery of the baby, so it may be more noticeable in the last trimester. The fracture of the coccyx at this stage may be due to poor placement due to its wider movement or trauma. The consequences of coccyx fracture, whether it happened before or during pregnancy, can make delivery more complicated and the specialist could opt for a cesarean birth if the pain is very strong, if pressure is being applied on other pelvic structures that prevent the passage of the fetus or there is a regeneration of the bone in an incorrect position that could affect the baby. However, if the fracture is mild and the doctor considers it appropriate, natural birth can be attempted by following a series of recommendations, such as staying upright during conception. Of the aftermath of a coccyx fracture, the pain in this area is one of the most frequent and persistent. This is because the poor position of the vertebral bone, either before or after regenerating the tissue, can compress the nerve endings, affecting the musculature and nearby tissues, especially when movements are made that favor the curvature of the same one and exerts greater pressure. This pain in the coccyx is usually intense and felt along the affected nerve and its ramifications, so it is possible to extend to the perineum, abdomen and chest. Consequently, it can limit the physical activity of the sufferer, since it is exacerbated by the effort in the pelvic region, even with daily movements such as walking, sitting and defecating. Although over time it tends to decrease its intensity, it remains constant and, therefore, it is necessary to go to a doctor’s office for treatment. Although it is very rare to occur, there is a risk of damage to the bone marrow if the coccyx fracture is accompanied by displacement of the fragments, as these could reach the medulla and compress it. This in turn affects the irrigation of blood vessels and nerve endings, altering some functions, especially, related to the brain connection. If the person suffers from a spinal cord injury due to a coccyx fracture, it is possible to perceive some aftermath, including severe headaches and in the coccyx area, especially when bowing, numbness and weakness of the coccyx. the extremities and problems in the control of the sphincters. Formation of blood clots due to restriction in mobility.